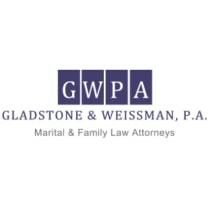 The firm of Gladstone & Weissman has its beginnings in the career of Peter Gladstone, who, in the early part of his career, worked under the tutelage of several highly regarded Family Law practitioners, first in New York and later in Miami and Fort Lauderdale. Peter Gladstone and Jeffrey Weissman met in 1994 when Jeffrey was a recent law school graduate and Peter a sixth year associate at the noted firm of Ruden, McClosky, Smith, Schuster & Russell, P.A. in Fort Lauderdale. They worked together at this firm for several years. Peter then went on to found the law office of Peter L. Gladstone, P.A. in November 1997, and in September 1999, Peter and Jeffrey joined forces once more to form Gladstone & Weissman P.A. The practice has continued to flourish ever since. The practice continued to develop, expanding into a firm of 4 lawyers, a paralegal and various support staff. The firm concentrates in the more complex areas of child custody and relocation, equitable distribution, alimony and child support related matters.